A special selection of face, linen or room mists for use in the office, home & traveling. Made with distilled water & pure essential oils for emotional well-being. See descriptions of the various blends below. Spray body & space with intention. A special selection of face, linen or room mists for use in the office, home & traveling. 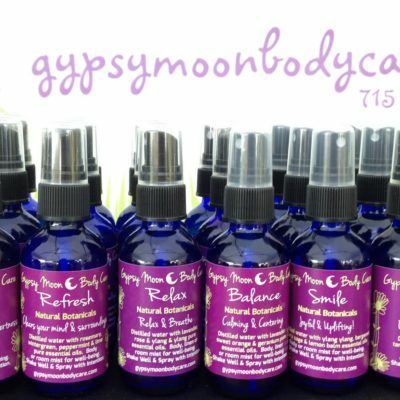 Made with distilled water & pure essential oils for emotional well-being. These are 2 or 3.5 ounce packages, see descriptions of the various blends below. 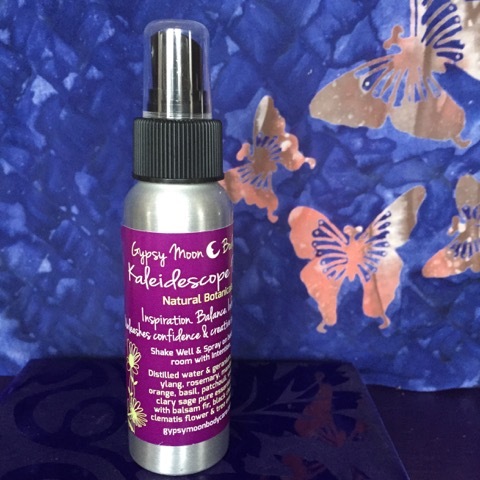 “Sacred Sage Mist” – Aromatherapy room mist for space purification & meditation. Clears space, integrates body, mind & spirit, inspires trust. 3.5 oz. Ingredients: Distilled water & sage, cedar wood, palmarosa, scotch pine, frankincense, basil and lemon pure essential oils with sacred lotus & white cedar flower & tree essences. “Kaleidescope Mist” – Inspiration. Balance. Infusion, Unleashes confidence & creative self expression. Confidence & wisdom emerge. 3.5 oz. Ingredients: Distilled water, geranium, ylangylang,rosemary, mandarin, sweet orange, basil, patchouli, vetiver & clary sage pure essential oils with balsam fir, black cherry & clematis flower & tree essences. “Midwinter Mist” (seasonal) – Inspires wisdom, clarity & inner warmth. 2 oz. Ingredients: Distilled water & vetiver, sweet orange, frankincense, cardamom, patchouli, clove & myrrh pure essential oils with holly, start of Bethlehem & Revive -all flower essences. Ingredients: Distilled water with bay laurel, bergamot, clove, ylangylang, cypress, patchouli & cedar wood essential oils and yarrow flower essence. Face, linen or room mists for use in the office, home & traveling . Made with distilled water & pure essential oils for emotional well-being. See descriptions of the various blends below. 2 oz.